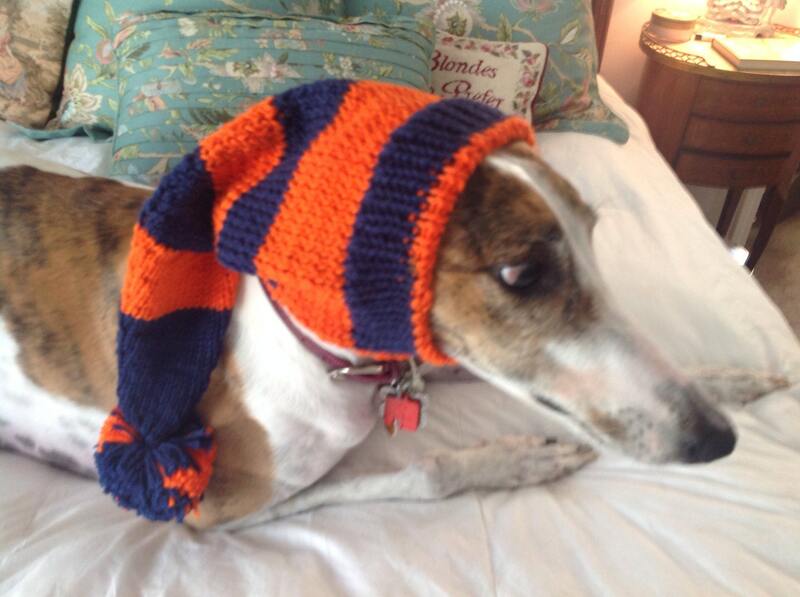 Greyhound hat with snood in Chicago Bears stripes! 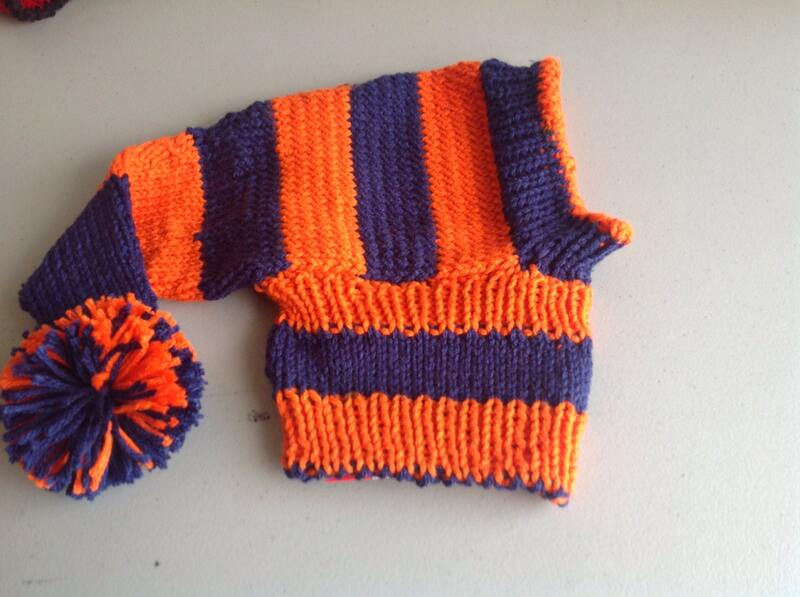 Your hound will look adorable and stay warm in this beautiful knitted hat with snood and long tail with Pom Pom made in "Da Bears" team colors. 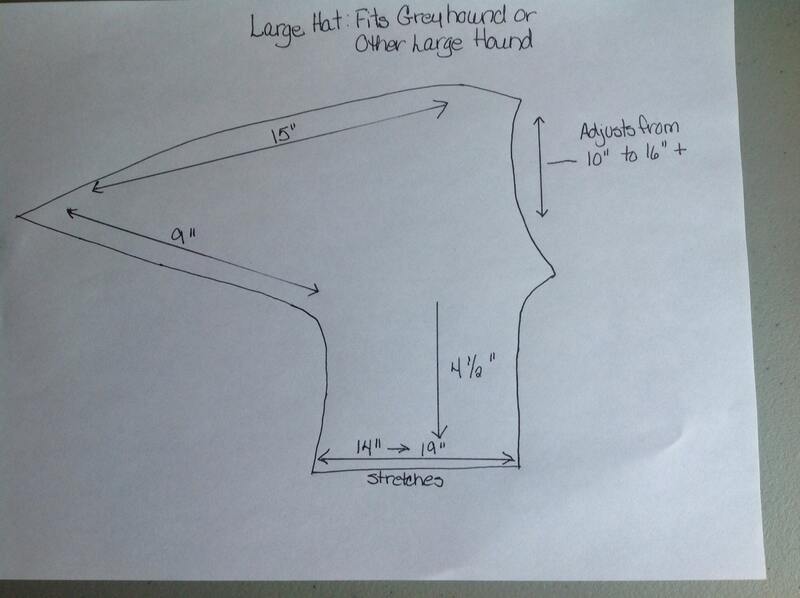 This hats is custom made from 100% acrylic yarn. 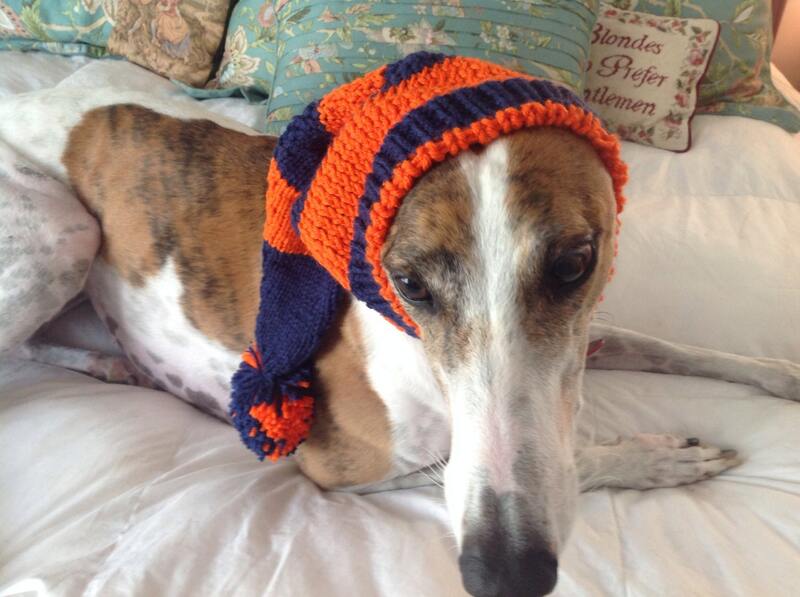 The model is Angel, a medium sized female greyhound weighing about 57 pounds. 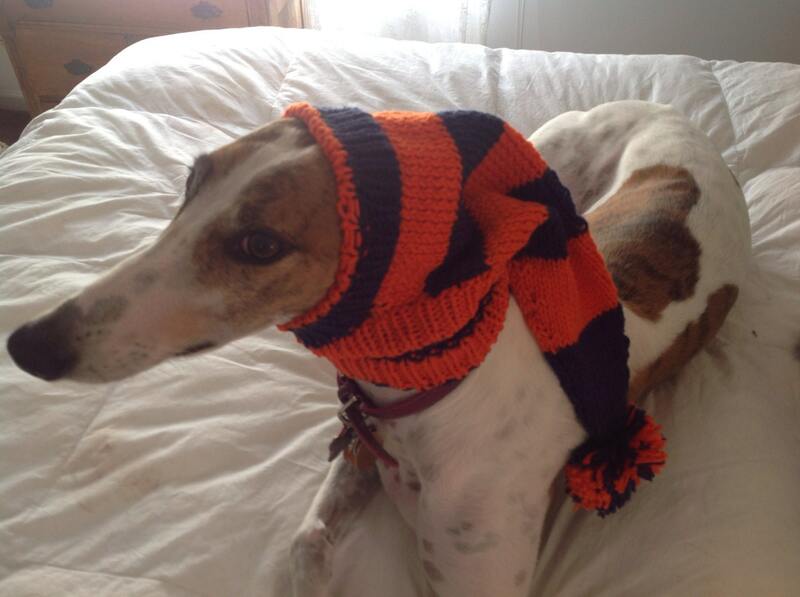 Her head circumference is 14".